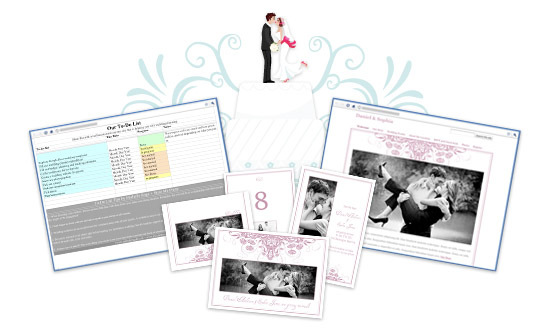 For many, your wedding day is one of the biggest, most momentous days of your life. The perfect dress, the right tuxedo, the proper shade of blue, the three-tier cake with chocolate fondant, and all of your closest family and friends—these are just a few of the many things you might think about for your special day. Although there’s much to consider and a lot of work to do, the payoff is great: it’s one of the happiest days of your life. To help you plan this important day we’ve created wedding-specific templates in Google Sites, Google Docs and Picnik, and gathered tips and tricks for using these and other Google products at google.com/weddings. From wedding websites to save-the-date cards, these tools simplify wedding planning, letting you focus your time on the fun things—like tasting cakes! We teamed up with renowned wedding planner Michelle Rago, who provided her insight and creativity to guide the designs you’ll find on this new site. Michelle also shared her experience to provide tips and advice to keep your guests comfortable and you sane. Visit google.com/weddings to start planning, or share the site with your favorite betrothed couple and help them on their way to wedded bliss.